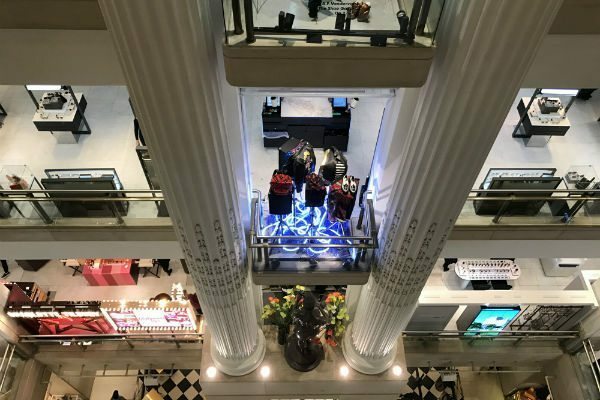 Home > News > Harry Selfridge and Department Store Innovation. “History can help us understand the past, explain the present, and plan for the future”. This is a brilliant comment that landed in my inbox just the other day. Not only do I agree with this statement, as a general concept; I also think it perfectly fits today’s retail industry. As BBC World Service presents in an episode of the series, “Fifty Things that Made the Modern Economy”, the concepts brought to life by Harry Gordon Selfridge, Alexander Turney Stewart and other retailing industry pioneers more than one hundred years ago provide the foundation on which today’s brick-and-mortar retailers and brands can build their marketing strategies. Whether we refer to aphorisms like “the customer is always right”, or to the concepts behind open aisles, window displays, in-store entertainment, clearance sales, “free entrance”, or the “ladies' lavatory” that Selfridge introduced in his department stores in order to encourage women to spend an entire day shopping, we must admit that these extraordinary men actually created the retail experience that we all enjoy today. Therefore, just by looking at the “new kind of shopping experience” that Harry Gordon Selfridge initiated or at the astonishing “Marble Palace” built by Alexander Turney Stewart, for instance, we can learn a lot from the past. And it’s not only about coming up with new, innovative, surprising ideas but also about avoiding mistakes that can kill a retail business. Now, we can’t help but ask: What kinds of things and experiences can a retailer or brand offer its customers in an era in which most businesses use the most advanced technologies to impress consumers? 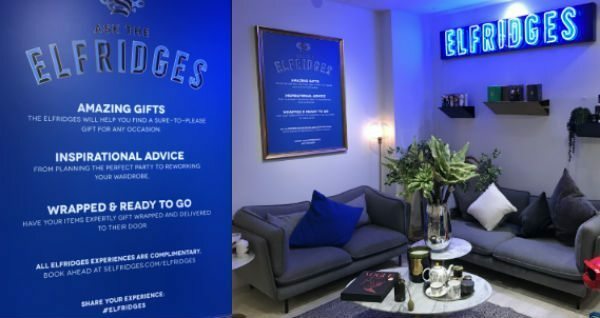 Just like Harry Gordon Selfridge and Alexander Turney Stewart, who “mixed and matched” different concepts and elements to offer their customers a completely different, surprising, and unique shopping experience, today’s brick-and-mortar retailers and brands have a few aces up their sleeves when it comes to attracting customers. Among the “aces” developed for physical retail environments, the beacon technology is one of the least explored technology advances, even though it has excellent potential to completely transform the shopping experience. Why Should Retailers and Brands Consider Adopting the Beacon Technology? Dale Carnegie wrote in his book, “How to Win Friends and Influence People: “people do things for their reasons, not our reasons”. This sentence gives us a lot of food for thought. In a nutshell, a business—be it a retailer or a brand—that’s casting a vision to which it wants existing and potential customers to commit must first commit to its customers. The easiest way to do that is to align that vision with the customers’ needs, wants, desires, and values. The beacon technology can help us do just that. When implemented correctly, as part of a well-designed marketing strategy, beacons allow retailers and brands to actively engage with a generation of shoppers “glued” to their smartphones, and convince them that driving to the store and hunting down the products they want is actually more fun than shopping online. Smart customer-centric POS solutions integrated with beacon technology and platforms like Eddystone, Swirl, Gimbal and GPShoppper, just to name a few, enable quick and seamless interactions with physical objects and locations, whilst empowering brick-and-mortar retailers and brands to efficiently connect customers with aisle-contextual content, ranging from information about products to special offers. But beacon technology can do much more. As an example, stores and brands can integrate beacons with many different products, services, and apps to offer customers a series of conveniences, such as efficient in-store navigation, on-demand sales support, promotions targeted to loyal customers based on personal preferences and past purchases, and contactless in-app payments. On one hand, shoppers will enjoy a personalised, frictionless, consistent omni-channel shopping experience; on the other, retailers will be able to reach the right customers at the right time with the right messages. What’s more, retailers will soon be able to combine beacons with new and improved analytics tools for the purpose of collecting data, analysing consumer behaviour, and measuring their success. By using customer-centric solutions integrated with beacon technologies to navigate customers through stores, provide special offers or contextual information about products, or deliver a more engaging, personalised in-store experience, retailers and brands can offer exactly what the modern customer expects; namely, a “whole new shopping experience”, as Harry Gordon Selfridge defined it. And just like Chuck Martin, editor of the IoT Daily at MediaPost, said, “(…) beacons will be about a million little and new discoveries”. Although many people believe that brick-and-mortars are a dying breed, we all know that physical stores offer one of the few things people love most about shopping—and online retailers cannot provide: the opportunity to touch and feel products; not to mention the unexpected surprises a “smart” store can deliver nowadays. One thing we must admit is that beacons alone cannot attract customers to a store and keep them inside. To get the most bang for the buck, a retailer or brand should use beacons as part of a strong, cohesive marketing strategy; or, better said, as part of the new retail IoT that’s taking shape as you read these lines. Only this way, a retailer or brand can deliver the ultimate shopping experience, similar to the experience offered by Harry Gordon Selfridge, when he invented the “open aisle” concept, or when Alexander Turney Stewart turned the dull, boring department stores of the 19th century into “Cathedrals of Commerce”, with picture galleries, tea rooms, smoking rooms, and concerts. Just like these two pioneers connected the pleasures of shopping with those of sight-seeing, today’s retailers and brands can entwine the pleasures of shopping with those of experiencing new things and technologies. But whatever the retailer or brand, the ultimate purpose of using advanced technologies should be to develop and deepen a personal relationship with customers. By embracing new technologies, brick-and-mortar retailers and brands will be able to create a meaningful, one-of-a-kind shopping experience tailored to each customer’s needs and expectations, and deliver meaningful value. That’s what will help a retailer or brand attract and gain new customers, retain existing ones, and, ultimately, make the most of its marketing strategies. To stay ahead of the curve and find out how you can get started with store innovation, beacon technology and proximity marketing, please contact us at DisplayMode on +44 (0) 1536 460805. Our friendly customer service representatives will introduce you to the POS solutions integrated with beacon technology we make available.